Link Building for Location Relevance | TrueLogic Online Solutions, Inc.
Part of Google’s effort to personalize results is to serve websites relevant to a user’s location. This is especially useful for mobile searchers, who are most likely looking for establishments that they can easily reach within their vicinity. Whereas before, your target market had to go to the local version of Google to get local results, now Google automatically detects where they are and selects relevant websites accordingly, even in more generic searches. Gaining visibility in this type of search environment requires local optimization. One of the best ways to gain local relevance is to gain locally relevant links. Whether you’re using link building services or you’re trying to establish your connections with local online influencers, the following should help you increase your local relevance. 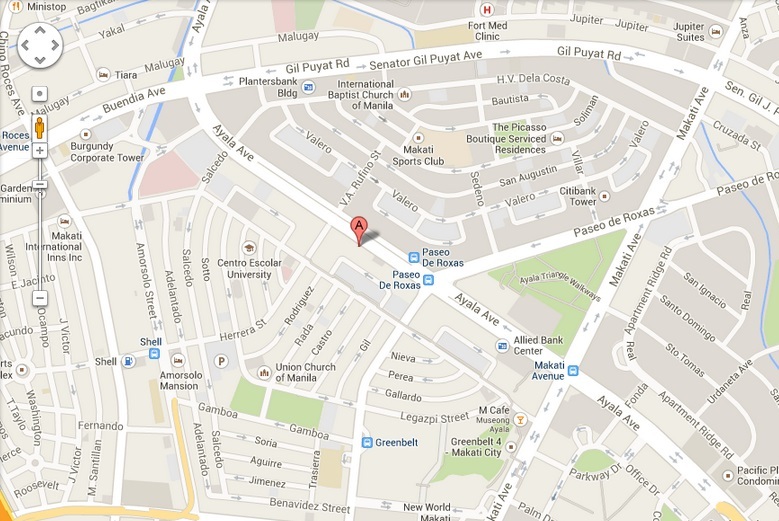 Our office location in Makati. Are you link building for local relevance? Say you’re trying to target a specific neighborhood or area – for example, you want to target Legaspi Village here in Makati. It’s easier to begin building location-specific links for Makati than it is for Legaspi Village. Focusing on cities lets you benefit from the positive effect city searches have on the specific area you’d like to target. Note the local entities that usually appear for city name searches, and think of ways you can partner with them. A good way to get a link from these entities is to sponsor one of these entities. Good examples are local universities and schools, sports clubs and associations, and local news. You may also have your website listed by the local government, public services and tourist information sites as one of the places visitors can go to in the city. Being a sponsor and an active participant in local event planning is a great way to get locally relevant links. Supporting recurring marathons, conferences, charity programs, and other local activities, whether by participating in the event or by sponsoring the event helps you earn links from local organizers and other fellow local sponsors and participants. You can provide some of their material needs for the event – most of them would be more than happy to give you a link on their website in exchange. You’ll get local links and brand exposure in the event, all while establishing new connections and relationships with local entities that can recommend you – that’s hitting three birds with one stone. If your industry provides information related to those that local government units also provide, and this information was served in websites that are now no longer active, you can buy these domains and revive these websites. You can provide information that your target audience wants while controlling the local link value that these websites have. It’s easier for people to find information from these sites because they are already established – and that makes it easier for you to serve the information you have as well. Make sure that the domains you do acquire are related to your industry before talking to the owners about acquiring them. Being visible locally remains to be an important ranking factor, even after you’ve launched a national online marketing campaign. We’d be glad to help increase your visibility locally with our link building services. Talk to us today to get started.